Instruction and exciting, soulful rhythm section grooves. 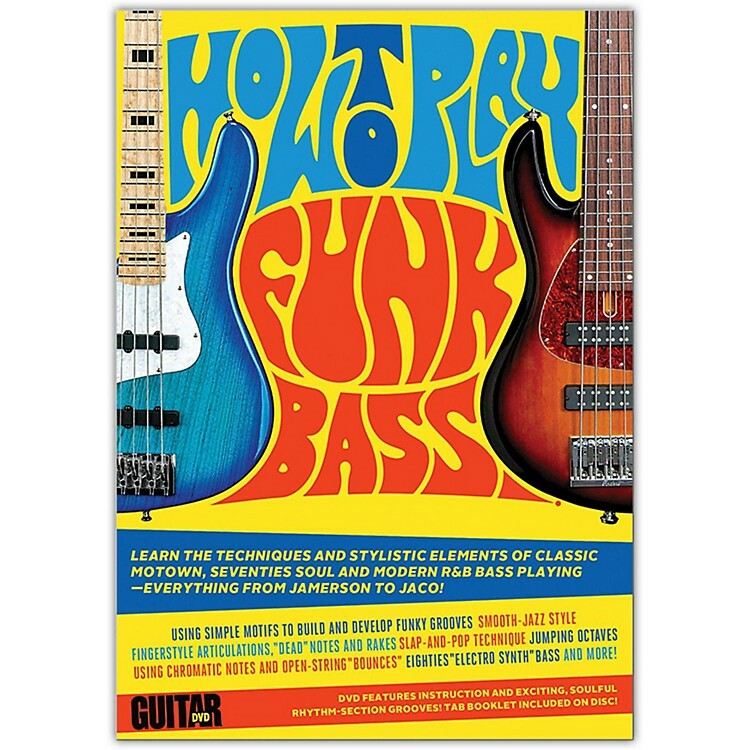 Learn the techniques and stylistic elements of classic Motown, '70s Soul, and Modern R&B bass playing---everything from Jamerson to Jaco. Using simple motifs to build and develop funky grooves, smooth-jazz style, fingerstyle articulations, "dead" notes and rakes, slap-and-pop technique, jumping octaves using chromatic notes and open string "bounces," eighties "electro synth" bass, and more. TAB booklet Included on disc.